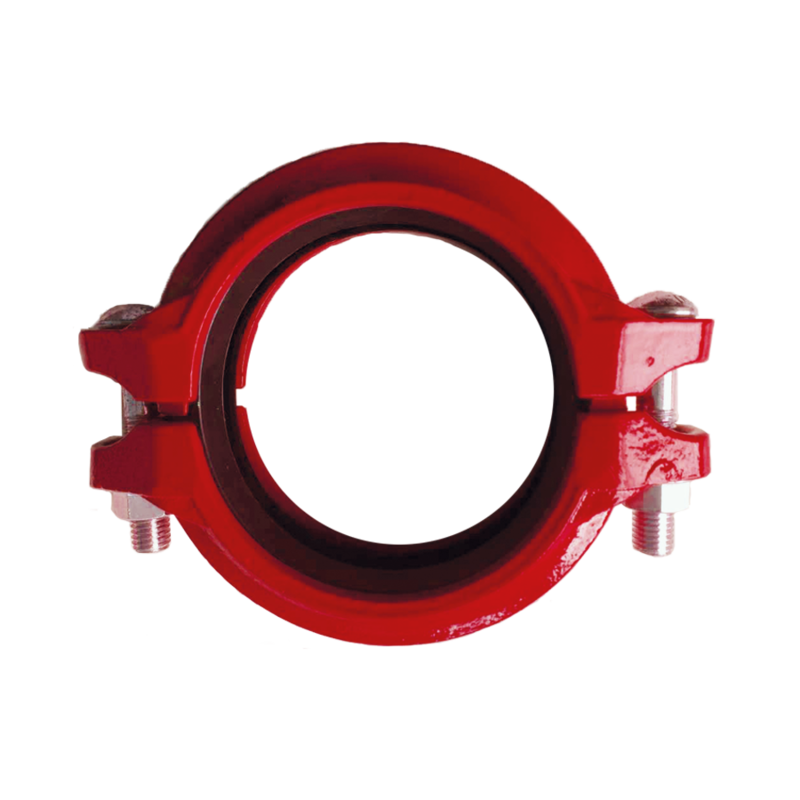 Style L coupling offers favorable corrosion resistance and represents an economical choice since it is constructed from epoxy painted ductile iron. Better suited for brackish and fresh water, the Style L coupling will perform well with pressures under 300 psi. Consult Piedmont application engineering for guidance on the selection of plastic or metal alloy for your application. An example of a severe-cyclical duty consideration is piping in the immediate proximity of the discharge of reciprocating, positive displacement piston pumps including the energy recovery devices of this type used in the seawater desalination industry. 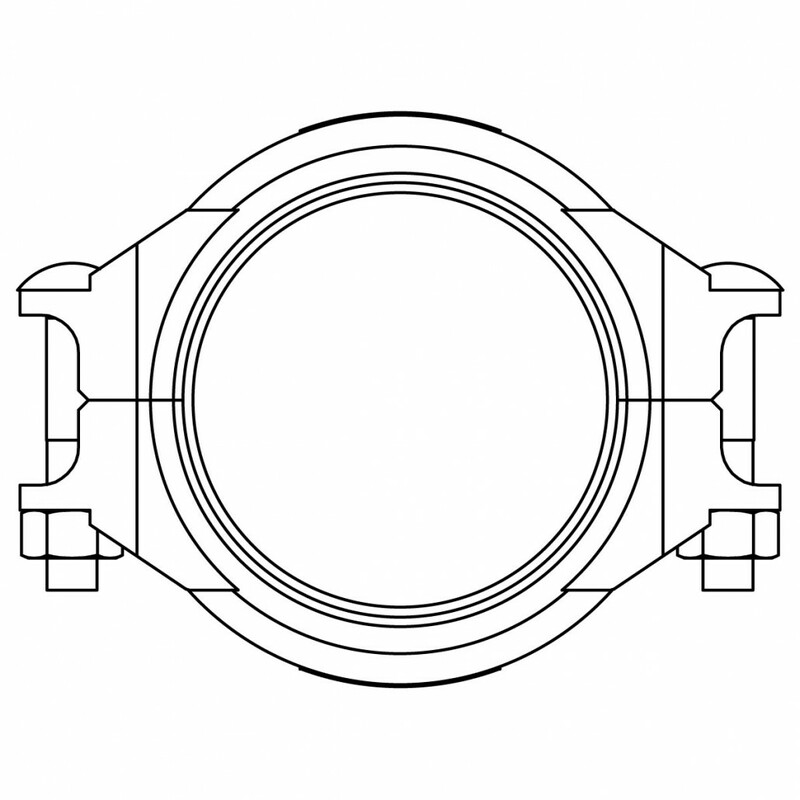 Piping components, including grooved end pipe couplings, can be subjected to severe cyclical duty in industrial and desalination plants and engineers and designers need to assure that piping system pulsations and axial displacements are adequately provided for in the piping system design, particularly geometry. Piping system displacements impart compressive and tensile loads in addition to the axial and hoop stresses arising from both continuous operating pressure and localized pulsation conditions. Displacement loads from reciprocating pumping devices impose additional stresses and require greater strength of the piping-joint components compared to piping components throughout the remainder of a plant at similar pressure, but not subjected to these additional loads. Contact Piedmont for assistance during the early stages of such designs. Applications can impose severe-duty factors in addition to the maximum continuous operating pressure rating. 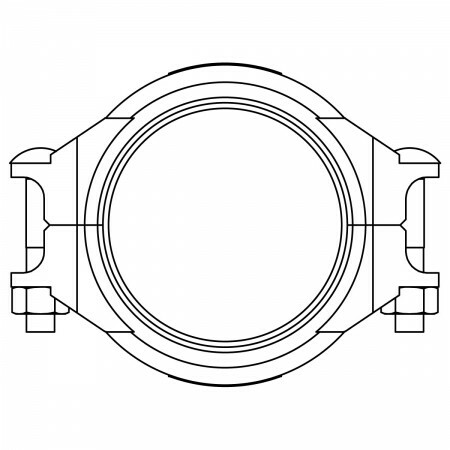 These additional design requirements must be considered in selecting the appropriate Piedmont coupling. 300 psi (20 bar) working pressure with schedule 40s pipe with cut groove only. Pressure ratings for other pipe schedules and groove types, please refer to the table below or consult with Piedmont. EPDM rubber, suitable for hot and cold water service. Heat-treated carbon manganese steel track bolts to ASTM A449-83a and A183 Gr. 2. Minimum tensile strength of 110,000 psi (758 MPa), zinc electroplated. Heavy hex nuts to ASTM A563. 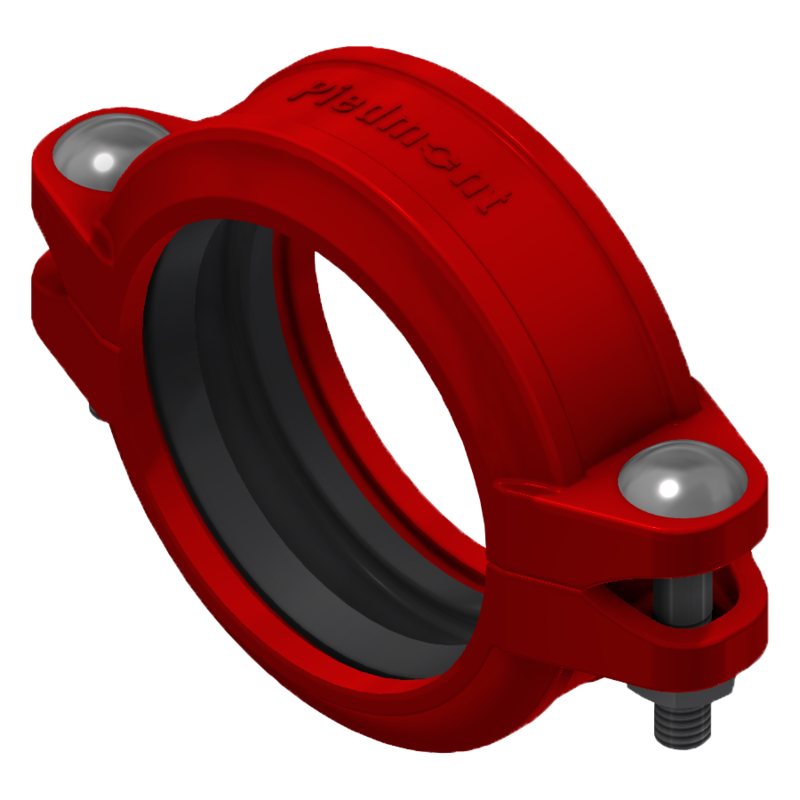 *NOTE For the use of Piedmont’s couplings on cyclic axial displacement systems, please consult with Piedmont for design and installation guidance. Note: Working pressure ratings based upon generally accepted pressure piping design standards and testing in accordance with ASME Section VIII Division 1 pressure vessel test method. 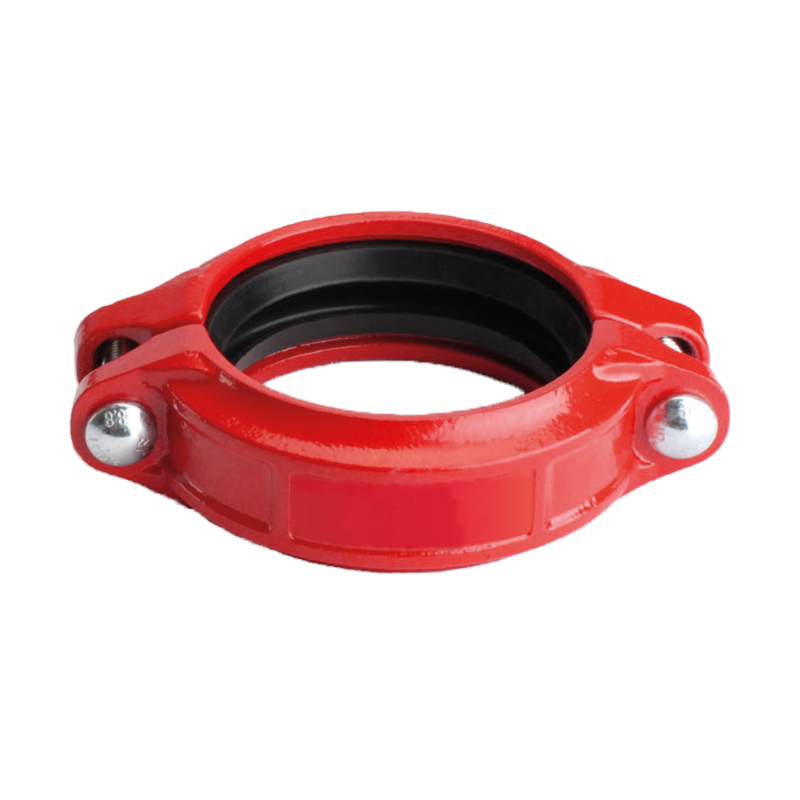 Piedmont couplings are sold as a whole including the housing, the gasket, the bolts, nuts and washers when necessary. Please specify the coupling size and gasket type required.